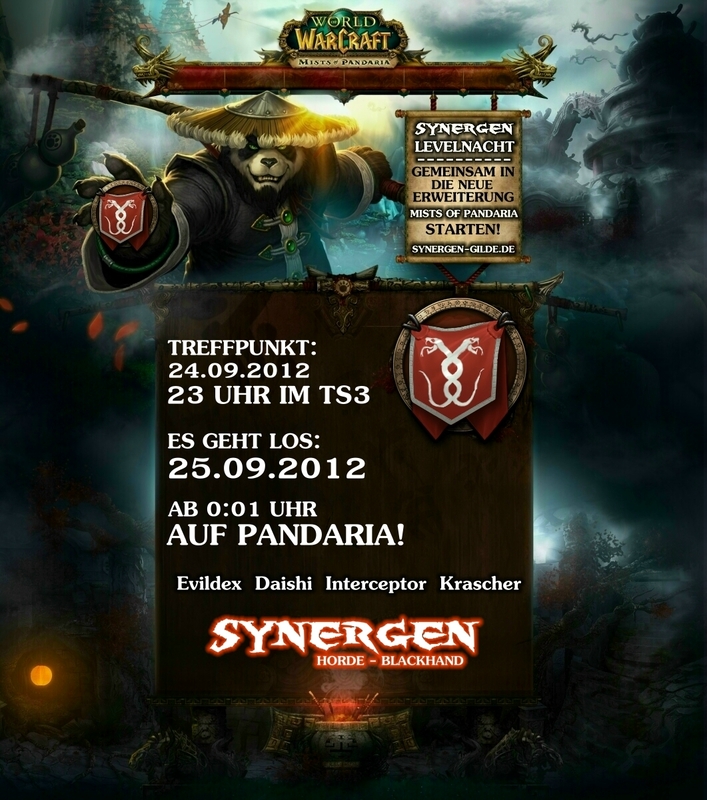 « Wir suchen für unsere Raids in „Mists of Pandaria“! Wer mit uns in das neue Addon zocken möchte ist an dem Abend gerne willkommen… AUF NACH PANDARIA! This entry was posted on 24. August 2012 at 00:21 and is filed under Gilde. You can follow any responses to this entry through the RSS 2.0 feed. You can leave a response, or trackback from your own site.